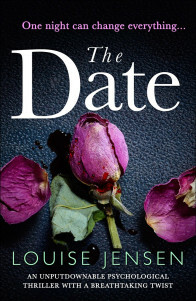 Next week on 21stJune, my latest psychological thriller, The Date, will be published. This is a novel that has taken a long time to write and several false starts before it was completed and there is a very special reason for that. With my previous novels I’ve written about a subject that interests me. The Gift was about cellular memory and the concept that the heart, when transplanted, can retain memories from the donor. In The Surrogate I became fascinated with the laws (or lack of) surrounding surrogacy and what might happen if either party didn’t follow the agreed plan. Through The Sister I explored the impact of grief and how far we would go for our family and friends and the secrets we keep.